It’s been a while since I’ve posted a recipe, so as promised I’ll share with you one of my favorites! 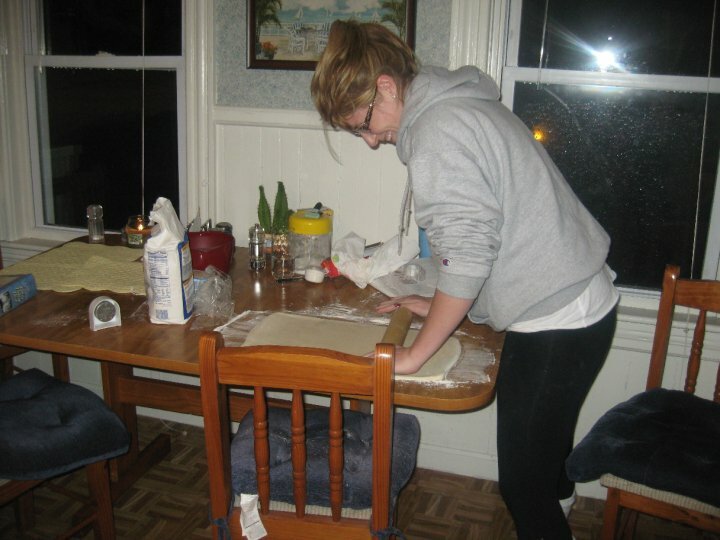 I was a senior in college and had just really gotten serious about baking. I was sitting around my apartment with my roommate Jan and my good friend Chris. I was asking if they had any baking ideas or anything they wanted me to try out. My roommate Jan (and this is why I love her) asked for chocolate chip cookies. To this day when I ask Jan what she wants me to bake for her, she always asks for chocolate chip cookies! Chris is another story. He started flipping though my baking books looking for something really good. He stumbles upon all different types of turnovers and he was sold. 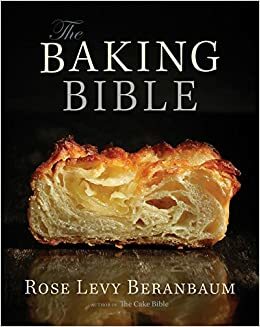 I took a look at the recipe and thought, oh that’s really not too bad, but little did I know that the “puff pastry” that it referred to was in the back of the book and roughly 3 pages long. By the time I realized what really went into making these turnovers, Chris was gone and Jan was grinning at me from the couch. I though: well, I asked for some ideas and I can’t back out now. So I went out, got all of the ingredients, cleared off the kitchen table and started my baking. 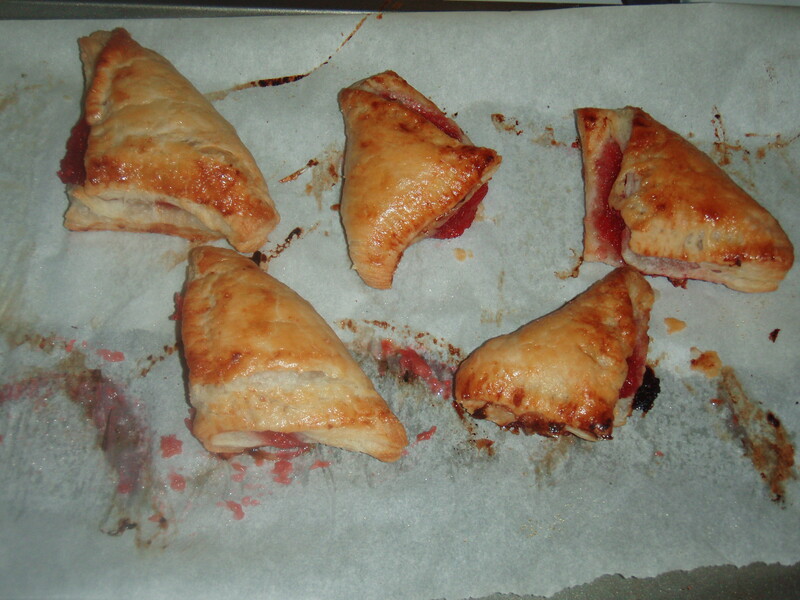 The turnovers came out GREAT and Chris ate all of them. 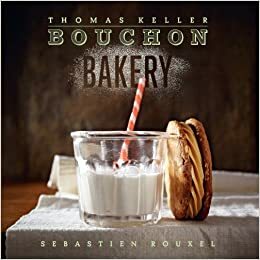 In the end, I have to thank Chris because if it wasn’t for him it would have taken me much longer to learn about Puff Pastry which is now one of my favorite doughs to work with. 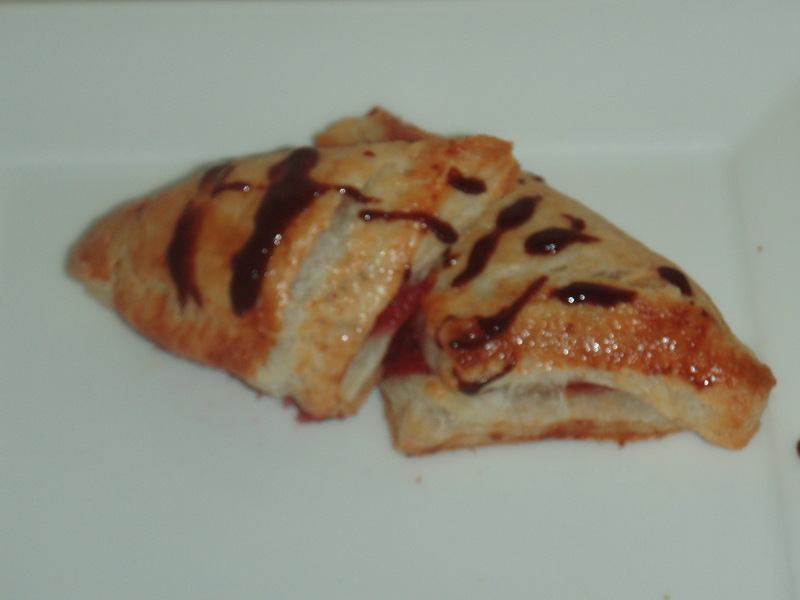 These turnovers aren’t too tricky once you get passed the dough. If you are making the puff pastry at home, be sure to check out my Baking Tips – Puff Pastry. Also, depending on the time you have it may make sense to make the puff pastry the day before and let it chill overnight. If you have store-bought puff pastry make sure that it is fully defrosted by the time you want to use it. Once the apples have been peeled, halved and cored, cut them into roughly 1/4-inch cubes. It is important to make sure that the cubes are all the same size so that the compote cooks evenly. They don’t have to be exact, but it’s just something to be aware of. Place the apples, sugar, vanilla, lemon juice and water into a saucepan on medium heat and cover with parchment paper. **A trick to covering the saucepan: Cut a circle out the size of the saucepan with a 1-inch hole in the center. Now crumble it up really well (I know, this sounds a little crazy, but trust me!). Un-crumble it and place it directly on top of the apples. You’ll notice that because you crumbled it, it is much easier to shape and place directly on the apples. Let the apples sit for a while until you start to notice the water evaporating. Stir the apples around to make sure all of them are getting cooked and add the raspberries. Stir and let sit for another couple of minutes and once the water has evaporated and the raspberries are broken down, the compote is finished. This compote is actually great on its own and can be drizzled over brownies or cakes to add a bit of sweetness. Be creative with it if you’d like by adding different fruits. Now it’s time to work with the Puff Pastry and put the turnovers together. You’re only going to use about 1 pound of the Puff Pastry. Make sure to flour your work surface (This is VERY important! 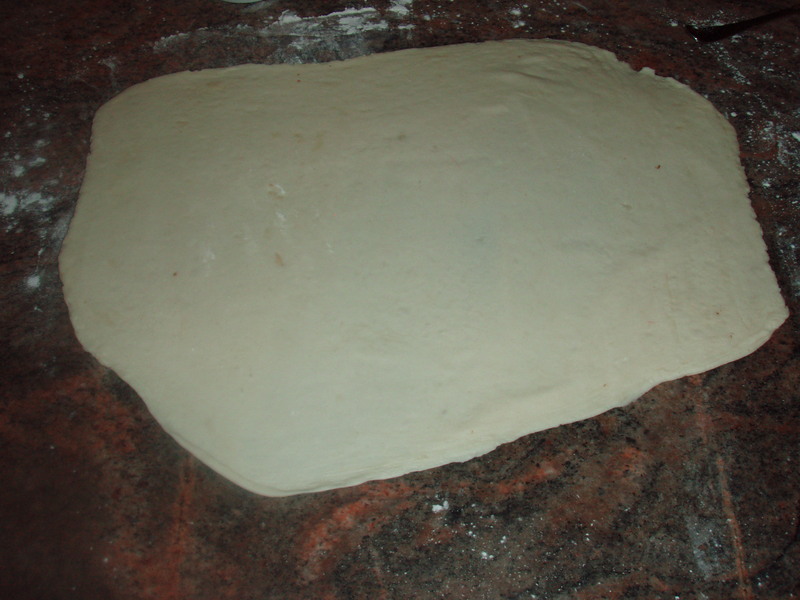 Even as you’re rolling be sure to check and add flour as needed so that the dough doesn’t stick to the surface) and roll out the Puff Pastry to a 17in by 9in rectangle (or as close to a rectangle as you can get), about 1/8 inch thick. Cut out eight 4-inch squares. If the dough is on the warmer side, place the squares on the prepared baking sheet, cover with plastic wrap and chill for 30min to an hour. 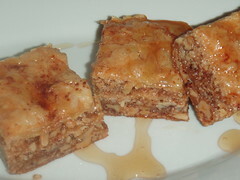 Once chilled, place about a tablespoon of the apple raspberry compote in the center of each square. Brush the edges of the squares with egg wash (whisk together the egg yolk and heavy cream) and fold diagonally over the filling to form a triangle. Using the prongs of a fork, crimp the edges of the triangles. 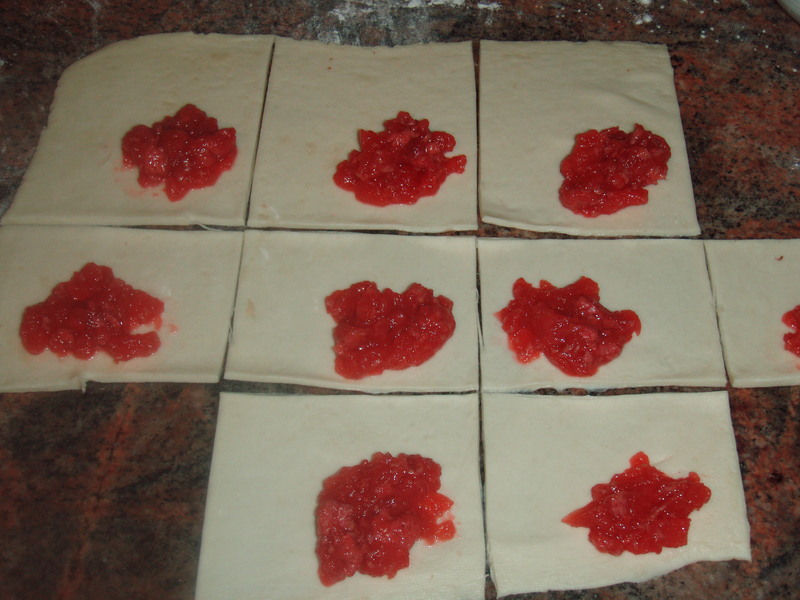 Place the filled turnovers on a baking sheet, cover in plastic wrap and freeze for about 20-30 minutes. 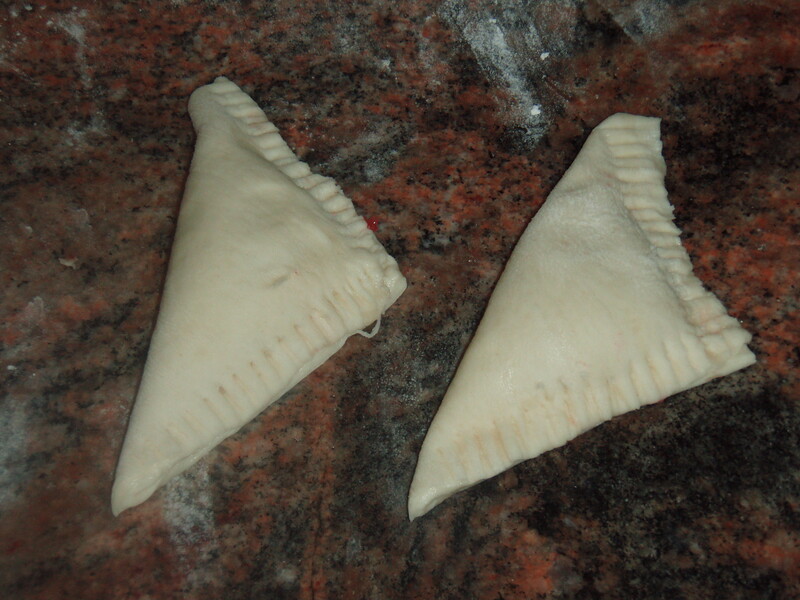 The turnovers can be frozen for up to 3 weeks and there is no need to thaw before placing in the oven. Brush the tops of the turnovers with egg wash and sprinkle generously with sugar. Bake, rotating halfway through, until the turnovers are puffed and deep golden, 30-35 minutes. Once out of the oven, immediately transfer the turnovers to a cooling rack. of this world along with with all the other recipies you’ve displayed.